Here you can find nice Height Charts for children. 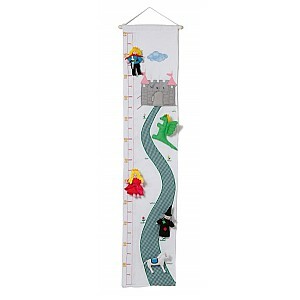 With a measuring height chart you can follow how the child grows and the children find it fun to control how much they grow. A practical and fun interior item for the children's room. We have height charts in wood and in fabric. 35% Cotton / 65% Polyester. From 3 years.